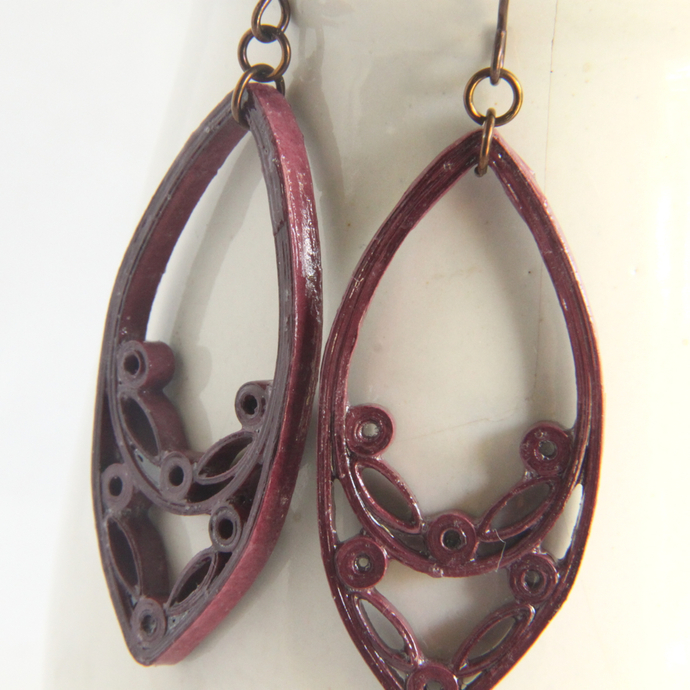 These unique marquis earrings are eco friendly and handcrafted by the art of paper quilling. 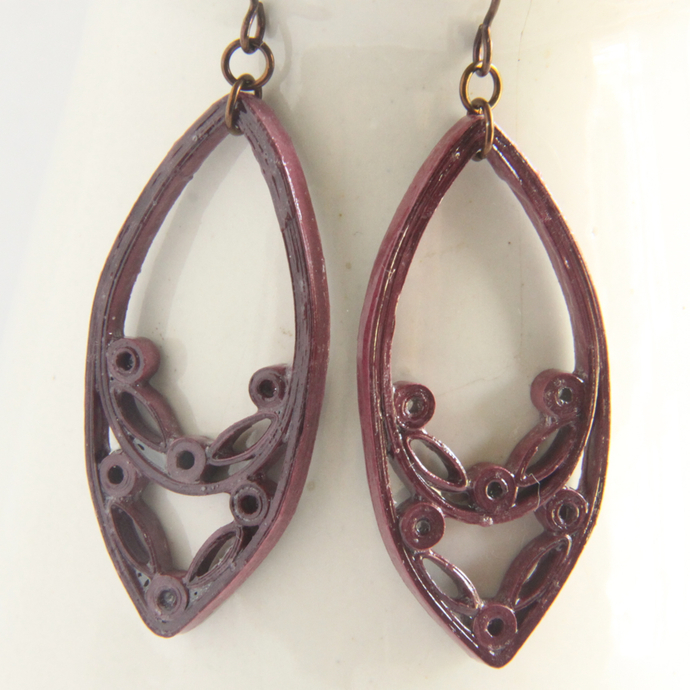 This burgundy is a lovely muted purplish color. Great for those who love more natural colors! They are hand varnished in several layers of non toxic sealant and topcoat for a sturdy, water resistant finish. 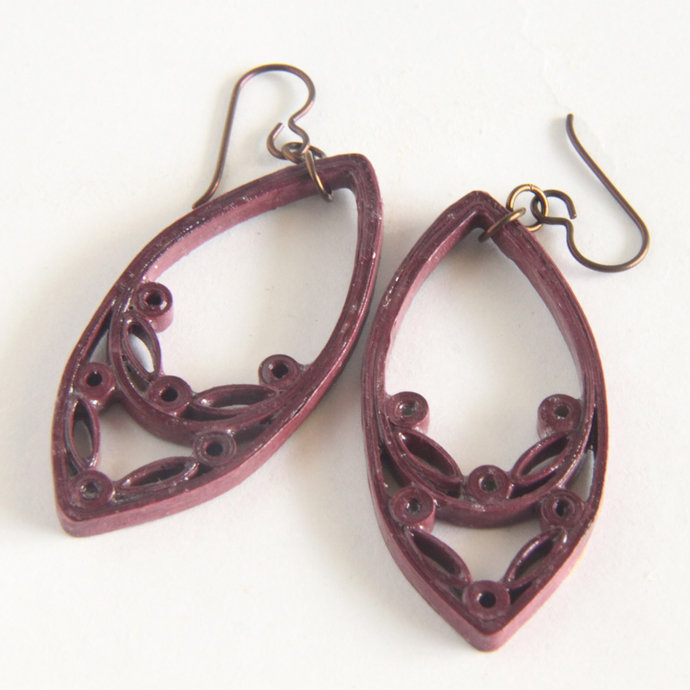 These special earrings are finished with niobium jumprings and earwires. Why niobium? It is as hypoallergenic as pure gold! Perfect for those with sensitive ears. It is also non-tarnish! I searched high and low for what type of high end earwires I wanted to carry and I believe niobium to be the best! 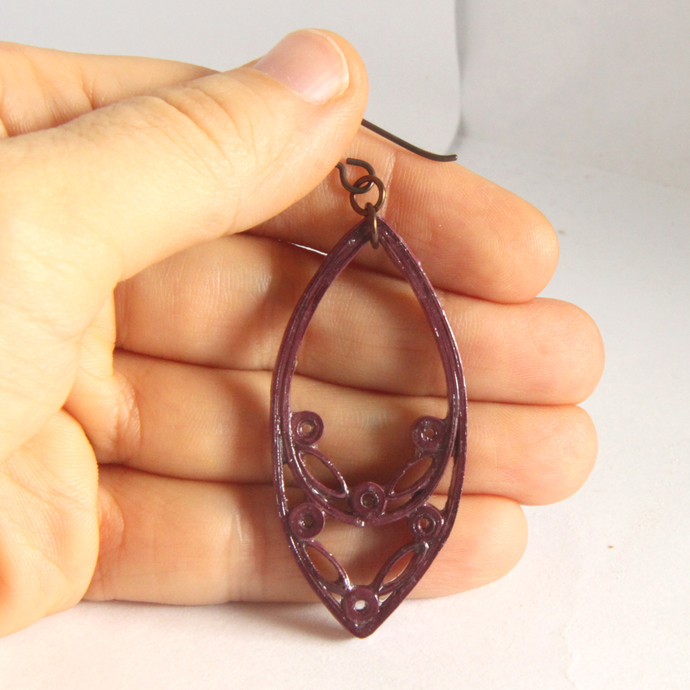 Each earring measures 2" (5cm) long, not including the jumprings or earring hooks.